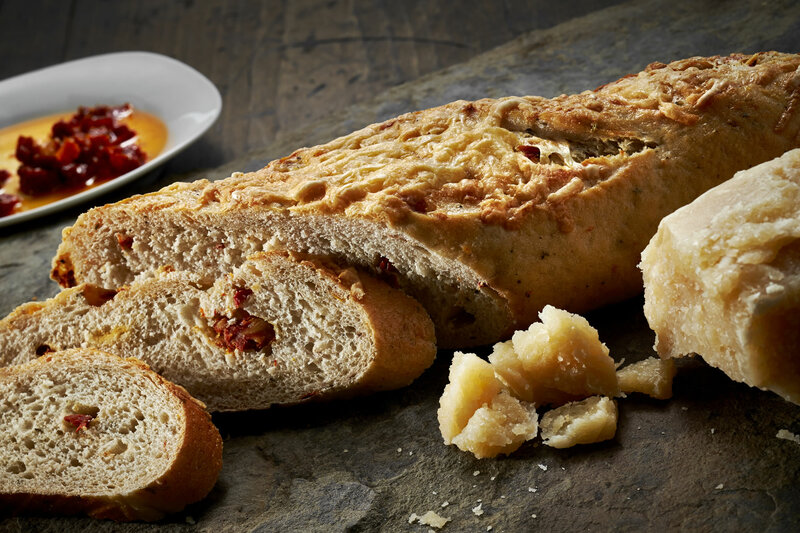 Bursting with flavor, this delicious Italian loaf is tinted with the color of sun-dried tomatoes, generously distributed through the bread. Olive oil and Italian herbs are blended with the dough, and aged Parmesan cheese covers the top before the loaves go into the high heat of our French ovens for baking. Fabulous pizza-like flavor (not Kosher).